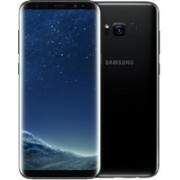 Only on ShopMania you can choose from hundreds of online stores delivering in Johannesburg, Cape Town, Port Elizabeth, Pretoria, Pietermaritzburg, Polokwane, Durban and all over South Africa, and find the best deals for Samsung Galaxy S8 (Super AMOLED display, 5.8" display size, 16M colors, Android 7.0 Operating System, 64 GB internal memory, 4 GB RAM memory, Samsung Exynos 8 Octa processor type, 2.30 GHz, Octa-Core, 12 Megapixel camera). Here you can compare mobile phones offers, browse the Samsung Galaxy S8 photo gallery and find out all about its features. Read product reviews and comments from the users in ShopMania community, learn about the last-minute discounts and find the lowest Samsung Galaxy S8 prices available.